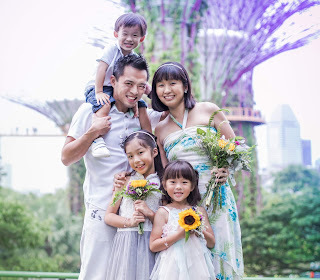 I have to admit, when A Happy Mum started in 2011, I was thinking that it would be cool if I could one day get into the list of top family bloggers in Singapore. The first time I heard about the Singapore Blog Awards in 2012, I decided why not just try my luck and see if anything good comes from there. Not surprisingly, then as a novice blogger still trying to find my unique voice in the blogosphere, I did not make it into the top 10. Fast forward to four years later, so much has changed. 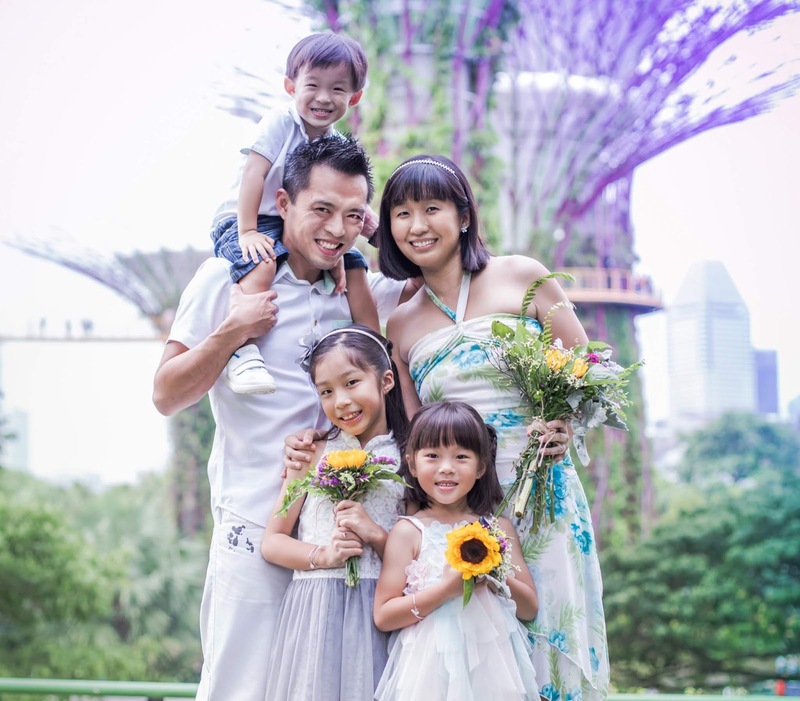 I moved from Sweden back to Singapore, I gave birth to my second child, I began to find my direction and pursued my interests while never letting my passion for blogging waver. Some of my friends don't understand why I choose to stay up to 3am, like now, just to blog but those who love to blog will know. I have gotten used to my life as a stay-at-home mum blogger. I realise I have a steady, even if small, pool of readers and I love reading about the stories they write in to share with me. I feel blessed to be able to receive sponsorships, attend media events, be interviewed and even do commercial filming in the past couple of years. I am thankful and happy that my love for blogging has opened me up to a whole new world of opportunities, joy and friendship. Honestly, there is nothing, absolutely nothing, that I wish to ask for because the way I see it, life has been extremely beautiful and kind to me. It's always good to learn to be contented, right? Before you get the wrong idea, you have to understand that in a way, this blog didn't just happen and through the years, I have worked hard to get here. I sacrifice sleep and rest time, I battle advertorial deadlines, I feel guilt and obligations, I 'work' when what is supposed to be a relaxed holiday, I edit hundreds of pictures monthly, and to say with some regret, even though my kids will always be my top priority, there are times when I ask for a little peace just so I can finish up my posts. Yes, nothing falls from the sky. So when friends or family sometimes make comments on how nice and how shiok it is to get freebies, sponsorships and earn as a stay-home-mum while looking after the kids, I wish they'd stop and think a little about what really goes behind the scene. Nonetheless, it's a choice I have made and to be able to turn a hobby into something more, that is really what I did not expect when I first started this blog. There are many things that we will not own or have the chance to try if not for blogging. There are many places that we might not go or afford to enter if not for blogging. There are so many good things that I want to share with fellow parents and so much joy I wish to spread but will never be able to if not for all the giveaway opportunities. I don't jump at or grab every single offer that comes along because honestly speaking, I dread the feeling of being obliged to write something after. I don't have the time to reply every single e-mail I get, especially those that are just looking for platforms to push their products which sometimes are not even family or kid-related. I don't wish to burn my weekends going for events when we can have our own family outings, so all I can do is to be selective and choose what will really benefit my family and readers. In any case, every time I accept an offer, that means in a sense I 'booked' a job and with it comes stress, brainstorming, deadlines and late nights. It's really not that straightforward being a blogger, you know? Tangibles aside, what I truly love about having a blog is the chance for me to share heartfelt experiences with others. It's also a way for me to remember the precious moments and in encouraging others, I also encourage myself that while parenting is a constant challenge, the good thing is I never have to be alone. You should realise by now that my posts usually end on a positive note and that is just the way I am - to see things in a positive light and always believe in goodness. Did you know? My motto since I was a tween is "Life is beautiful and full of hope", so I guess it came natural to me when I had to pick a title for my blog. Anyway, unlike the past years, I almost forgot about the Singapore Blog awards this time until I came across the website on the last day of registration. On that very same day, I received a nomination from a very kind reader named Carol who described my blog as "very real and heartwarming". You have no idea just how much that touched my heart. Of course, I accepted the nomination but unlike previously, I wasn't carrying much hopes and I knew making the top 10 list or not was not going to deter me from blogging. Awards are a bonus, but passion is what keeps the blogging flame burning. That is what I learnt along the journey. You know how life is strange sometimes, right? The more you desire and and hanker after something, the more it eludes you. On the contrary, the more you leave it to fate and lower your hopes, that's when it comes knocking on your door. So yes, I'm humbled and happy to tell you that A Happy Mum has made it into the top 10 finalists in the Best Family Blog category in this year's Singapore Blog Awards. It's already a big achievement for me to make it as a finalist and I'm not lying when I say I don't think I will bag the award because a handful of the other finalists are the ones that I look up to. In any case, I still wish to thank those of you who have believed in me since the beginning and stayed with me in my blogging journey. P.S. For this year's Blog Awards, unlike previous years, the grand winner of each category will be determined entirely by judges’ scores while public votes will go towards identifying the “Top 10 Most Popular Blogs” of the year, regardless of contesting categories. Sounds a lot like 十大最受欢迎男女艺人, right? Just that it's Singapore's 十大最受欢迎部落格. Anyway, if you would like to, you can vote for your 10 favourite finalists across all categories once every day here. A one-time registration is required before you can do so. P.P.S. Just so you know, I will definitely continue to blog no matter what happens and hopefully continue to warm hearts while keeping it real. Awww thanks Made! Yes, please do, I will love to see a compilation of all your headers! =) See ya very soon!!! Thanks Ai! Yes, I think we all have the same passion! Hehe I kept the header designs in a folder in case one day I needed to refer to them. Still easy to keep track because not that many! Let's catch up soon, before our girls go Primary School!!! Good luck for the blog awards, but even if you didn't win, u know you won your readers' hearts as well as good friends along the way. jiayou!! Thank you, Ting. I think we are both the happy-go-lucky and optimistic kind of people! I know, I am most thankful for the friendship and glad to know people like you along the way! I don't expect to win, so don't worry that I will be sad! Hehe. Better to remain happy and contented!! =) Meet up for lunch soon! I know I have a good friend in you!! Haha. Oh yeah, that hair, I kinda miss that!! Thanks much for reading and showing your support! Congratulations! Voted and jia you!! I remember that header as well! Has it been that long? I've always enjoyed reading your blog as you keep it real and personal as your positive outlook always shines true as you share your ups and downs as a mum. Keep it up and I'll be voting for you.